Why IS he smiling? Or is he? I took this photo during the crazy California storms last week. It was so grey and there was this little guy all colorful and smiling. Creepy or weird – you tell me. ← Previous Previous post: From Page to Screen: Are the books always better than the movies? LOL, he’s funny. Clowns are creepy. Gnomes are funny! You are right about clowns. BTW, thank you for inspiring me to get on this WW project. I think his lips are pursed. He’s annoyed. He is not a happy gnome. Haha. Cute photo! 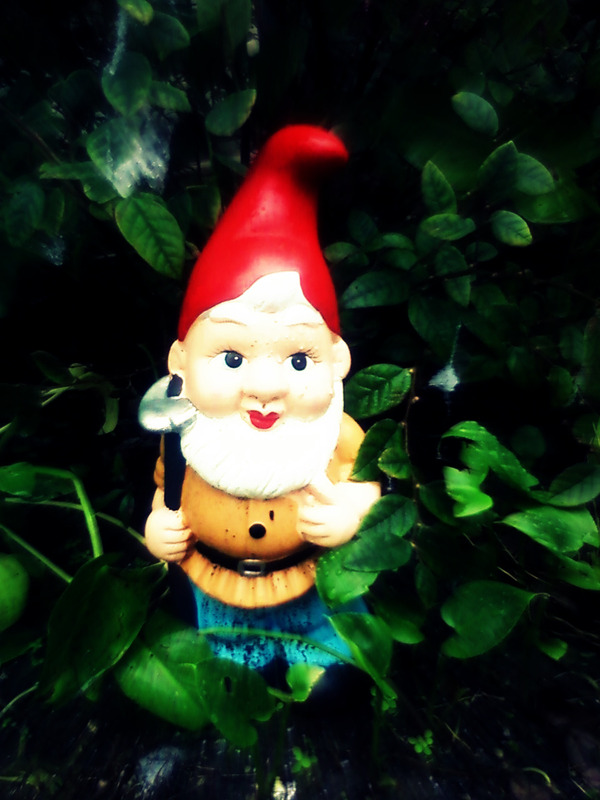 Maybe the rain annoyed him… The gnome lives in my neighbors front garden btw. Not my gnome. Ummm…I’ma go with cute in his case.